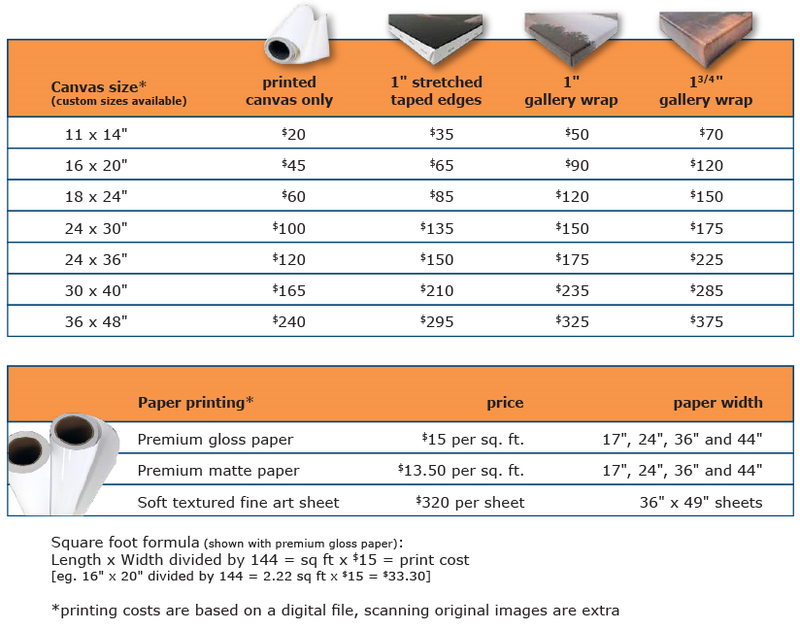 Kat’s Gallery offers a state-of-the-art digital printing service that can create a stunning masterpiece from your own photograph or original art. With the use of oil-based inks, you can rest assured that not only will you get incredible vibrancy but the work will never fade, even in direct sunlight. Printing can be produced on canvas up to 60in wide without any distortion, and can even be made into custom wallpaper! Photo editing and color treatments such as sepia tone are also available. How do I order a custom print? Prints can be made from either a digital file or an original photo or piece of art. Digital files are ideal and can be sent through a third-party service such as Dropbox or Hightail. Original works must be scanned and/or photographed first. Please contact kathy@katsgallery.com for a quote.